If I place a capacitor across 2 and 3 will the neon lamp inside this switch flash? 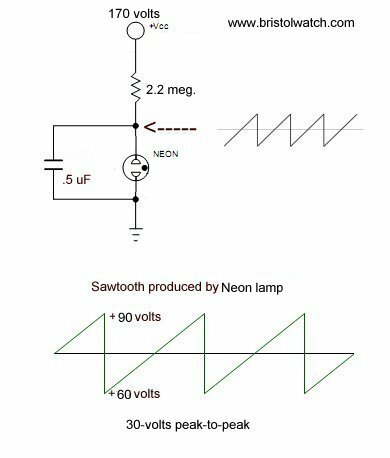 Read here - chapter 2 - to make a neon lamp relaxation oscillator. Thanks for the help on this one, that connection between the resistor and lamp is up inside the switch, difficult to get to without damaging the switch but I have a better understanding how it works. The other reason that won't work, is that you are likely using the switch on AC. That circuit requires DC. EDIT. I have just noticed that Ken has beat me to this point. I had intended it to work on 110AC. As I said in post #7 You did not Specify if it was AC or DC and we don't have crystal balls. Neon lamps work with AC or DC. but a neon relaxation oscillator only works with DC. Neon lamps work with AC or DC. Post 8 was in response to your post 7. The neon light works well at night. One works like I want. The other one has a "firing" voltage that is right at my line voltage. It is on for 1 second, off for 1 second, then randomly on/off as the line voltage moves and probably as the lamp heats. Drives the wife insane. I am under orders to replace it. From what I've been reading about neon lamps is they will flicker with low line voltage or when they are getting ready to die. I greatly appreciate your offer but I think I better look for a long term solution. The switch controls a light in the basement and during the winter months when the basement door is closed you can't see the light and occasionally the switch gets left on. I put a neon indicator on the switch box but it doesn't seem to grab your attention so I thought making a neon flash might be better. The only time we have to see it is when walking past it so it shouldn't be much of a nuisance. It doesn't make sense to me to use dc voltage if only half the lamp is lit. I might try a couple of motion detection switches. Thank you Nsr for posting that link. You would only need to add a diode (1N4007 for example.) in series with the resistor to make it work with AC. The off time would be longer than if it was supplied with DC but the resistor value could be reduced to compensate. If you want the neon to blink use a resistor to slowly charge the capacitor, when cap charges up to 55v it will discharge through the neon. Solder capacitor in parallel with the neon. Solder diode and resistor in series connect it to capacitor/neon. Any 200v diode will work I use 1N4007 on everything. I use a 1 meg resistor because they are common easy to buy cheap, with a 1uf ceramic capacitor they are common and cheap too. Some neons already have the resistor attached. Notice the circuit shows 170 vdc from 120vac. Another option would be to plug a low voltage wall-wart (surplus from ?) into the switched lamp circuit. Then run the low voltage to a flashing LED located were it would be more readiliy seen. Below is the LTspice simulation of a flashing circuit similar to what gary proposed, using the neon bulb in your switch..
R2 is the estimated value of the switch internal resistor in series with the Neon bulb. The values shown for R1 and C1 give a flash period of a little over a second. Thanks for all that, I can put that together on the bench and test it out.